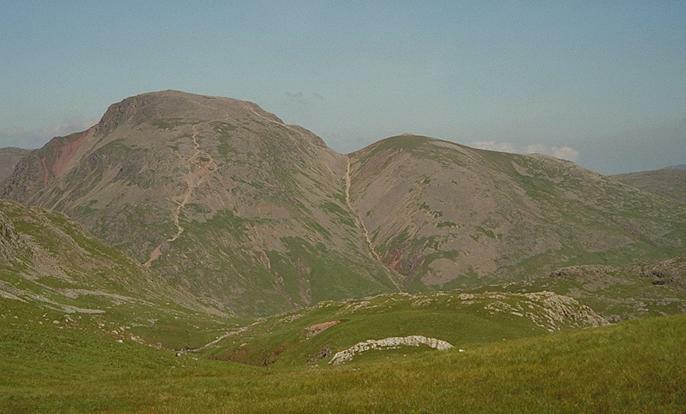 This view of Great Gable and Green Gable, taken from the top of the Sprinkling Tarn path, shows very clearly, the Breast route on the former, and the Aaron Slack route to Windy Gap between them. There is a similar, (winter) view from Allen Crags. Smaller version of this picture.